Is anyone else shocked that it is almost October?! There is so much to celebrate, beauties! From Breast Cancer Awareness month, Love Story at Short Pump Town Center AND the 4th anniversary of Luxe Lashes… Needless to say, we have an exciting month ahead! You are probably wondering why I mentioned Breast Cancer Awareness month, right? Let me explain. This is something that I hold near and dear to my heart in my business. Running a company is tough, but when you run it on love, it’s easy! Life is worth celebrating, especially when I am able to listen to the stories of triumph from you amazing beauties. For the past year, I have been honored to work with many breast cancer survivors—to me, they are much more than survivors, they are warriors! 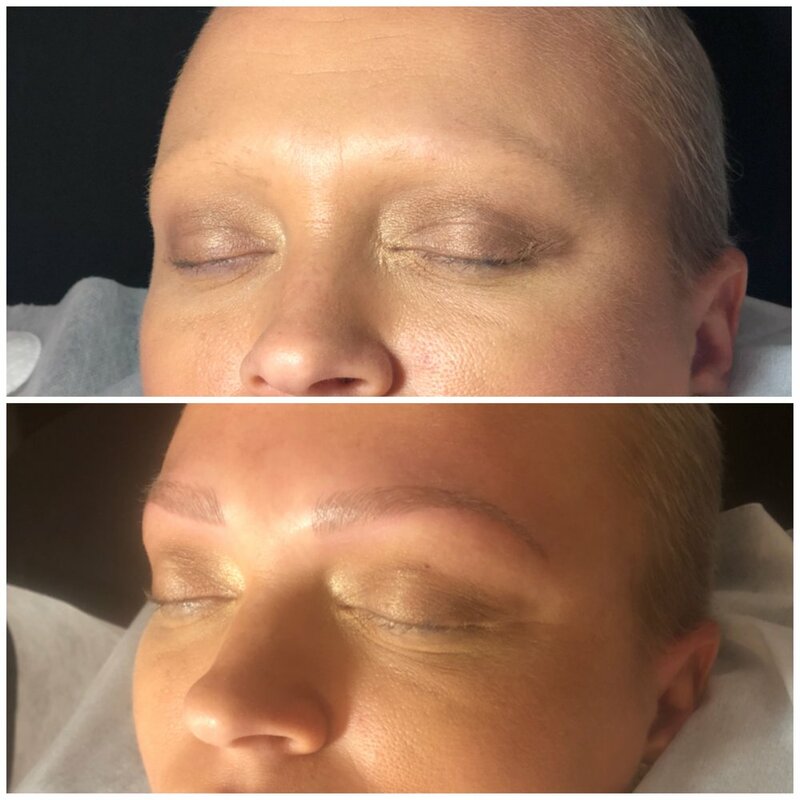 In celebration of this monumental month and each individual and courageous story, Luxe Lashes is offering microblading services for $250 to each and every survivor! Looking for additional ways to show your support? Join me in PINK LASHES! In the studio this month, you can add a few pink lashes to your existing lash extensions for only $5 extra! At Luxe Lashes, we are always look for a reason to celebrate, but especially on our anniversary! Luxe Lashes is officially 4 years old! These four years have been full of growth, surprises, connections and stories. Owning a business isn’t always long lashes and perfect brows, but you, beauties, remind me every day that I am living out my dream. So, thank you for allowing me to do this—I love each of you! In other LOVELY news, it’s Love Story time! Come and see us at Short Pump Town Center on October 4th from 6-8pm as we celebrate YOUR Love Story! Newly engaged? Or do you just like a fun fashion-infused party? From meeting new beauties to sharing champagne with vendor friends, and giving makeovers— it will be a non-stop fest celebrating love! I am so excited to be packing up the kits and heading over to Short Pump again this year. How many sets of lashes can I bring for you and your girls?! Grab your ticket here! PS: I hear the goodie bags this year are going to be AMAZING! And the runway show is going to be EPIC! It’s a full month and I am grateful for this journey! Four years. Four incredible years with a community that has supported me beyond measure. It feels so good to give back. My goal for you this month? I want your outer beauty to shine just like your inner beauty does when I get to sit down and connect with you in the studio. From the bottom of my heart, I love you, thank you for four years together and to each warrior beauty, I stand with you in celebration of life, of health and of love.